The Ringleader DJ Ace is a seasoned veteran of master quality music. 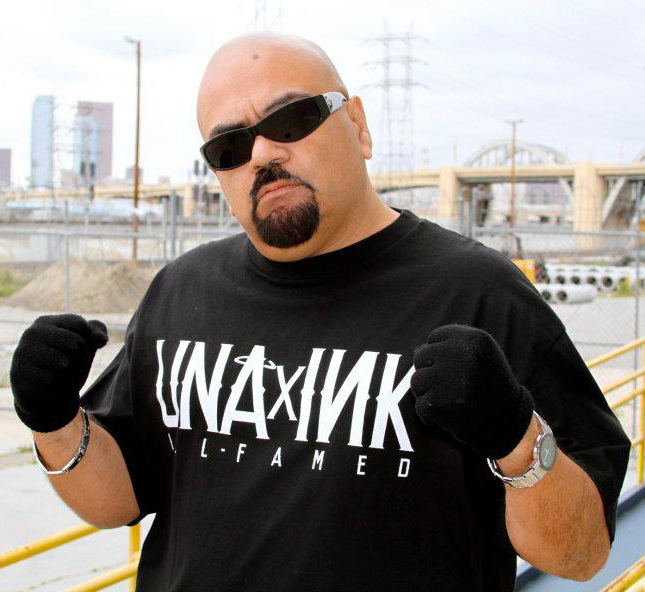 Most noted as the main Producer for Ice T. The Ringleaders music can be heard on various CDs, motion pictures and television shows aroind the world. Having worked with some of the biggest names in the rap game, Ace’s other production credits include; South Central Cartel, King T, Kurupt of the Dog Pound, Sen Dog and Breal of Cypress Hill, Barrington Levy, Chino XL, Kam, LV, Sick Jacken, Havoc & Prodeje, Frost, Saint Dog, Big B, Trigga the Gambler, J-Ro from the Alkoholics, Smoothe da Hustler, The Mexakinz, Johnny Richter of Kottonmouth Kingz, Body Count, Born twice, Rhyme Poetic Mafia, Phil da Agony, Rakaa from Dialted Peoples, Krazy Race and Gutterfame. The Ringleader has traveled all over the world and shared the stage with Run DMC, Naughty by Nature, Dogg Pound, Public Enemy, Mob Deep, JD And The Brat, Snoop Dogg, Ice Cube, Bobby Ross Avila and more. Movie credits include; Meet The Spartans, Scary Movie 3, Hero with Jet Li, My Baby’s Daddy with Eddie Griffin =, Urban Menace, Rhyme & Reason, Punisher, Redemption with Jamie Foxx, Wreckin Cru, Road Dogz, Tank Girl with Ice T, Stealth Fighter, Primos, Amplified and Tracks. Television credits include Cold Case Files, CSI Miami, Smallsville, Marci X, Sleeper Cell, Ghost Whisper, The Shield, Touch by An Angel, Body Count, Mad TV, Baby for Sale and also produced the title track for the VH1 Reality Show Rap School. He also made a cameo on the E Channel's first season of Ice loves Coco titled “Baby Got Vows”. 2012 brings new ventures for The Ringleader and he is set to take things to another level, The Final Level. 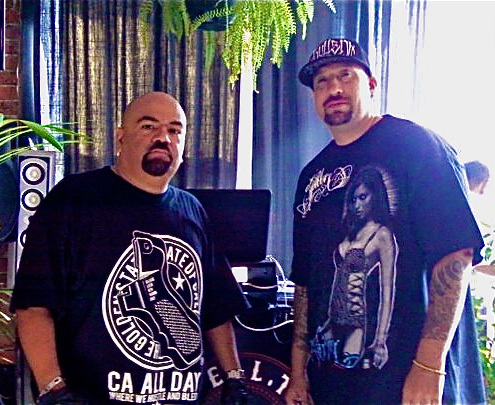 Teaming with West Coast Legend B Real from Cypress Hill to form the Dj Crew known as “Audio Hustlaz”. AH includes some the hottest DJs in Los Angeles. Ace has also linked up with Breal and joined his breal.tv network. He can be heard spinning and co-hosting every Thursday 4pm PST on The 420 Show. The Ringleader also broadcasts his own radio show: Final Level Radio broadcasts live from the infamous Dark Kingdom studio. The West Coast edition airs Wednesdays at 10pm PST and Sunday nights 10pm PST delivering dope underground hip-hop, raw and uncut. Having a heavy production schedule and upcoming album release as well as producing for various new artists does not stop The Ringleader from making his rounds behind the wheels of steel every weekend at some of the hottest clubs around the Los Angeles area. "DJ2GO is a small piece of equipment that will quickly become a vital part of your arsenal when mixing video. Because it's small, light weight and has a USB hookup, it's very convenient for DJ's on the move. . If your a DJ and want to step up your game in Video Mixing, I highly recommend the DJ2GO."